More than 70 companies from the naval and port sectors will gather at the World Maritime Week EXHIBITION AREA, occupying approximately 1,000 square metres of the Luxua Hall. None of the major national shipyards have failed to attend this international shipping industry event. Nor have any of the auxiliary companies, who may benefit from the significant workload coming to most shipyards; some of these orders are long-term. 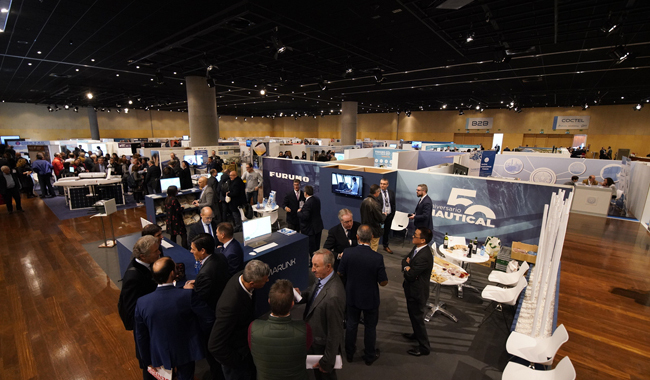 Those attending the event include Navantia, Zamakona, Armón, Emerson, Man, Finanzauto, Bombas Azcue, Nautical, Gondán, Murueta, Balenciaga and Wärtsilä, among others. Additionally, 35 international shipyards will be taking part in the B2B meetings, including representatives from the Philippines, Malaysia, the United Kingdom, France, Morocco… These encounters are very well received, so much so that the prescribers and suppliers have arranged for this edition 458 B2B meetings.